These semi-hollow body, semi-acoustic guitars are an amazing feat of craftsmanship-they allow for an acoustic guitar tone on a touch-style instrument! 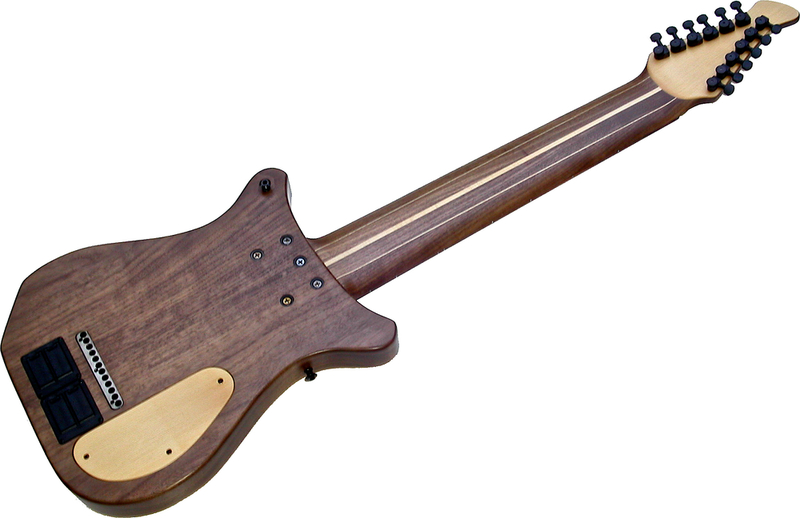 Available in 8, 10, and 12-sting models, featuring piezo transducer pickups and optional "Floating Warr Jazz Pickups." 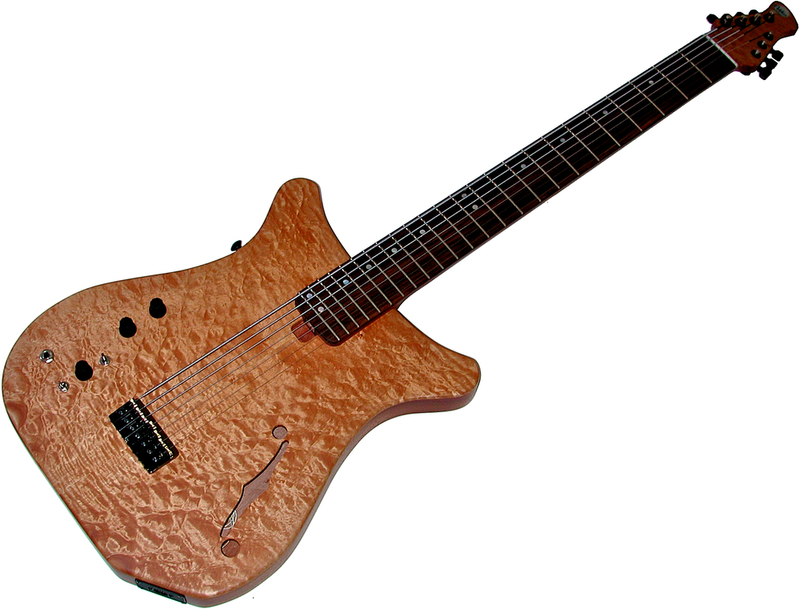 The piezo pickups allow a wide range of string choices for these guitars, including bronze and nylon strings. You can add the optional MIDI triggering capability to your piezos! 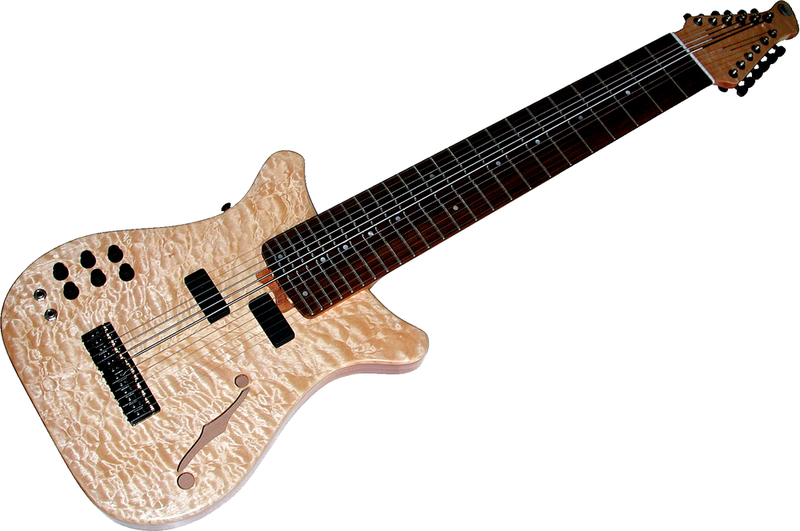 Order your Warr Guitar "Artisan" Today!